Home » Announcements » Final Call! Win a Free Copy of Shadows Wake! Final Call! Win a Free Copy of Shadows Wake! 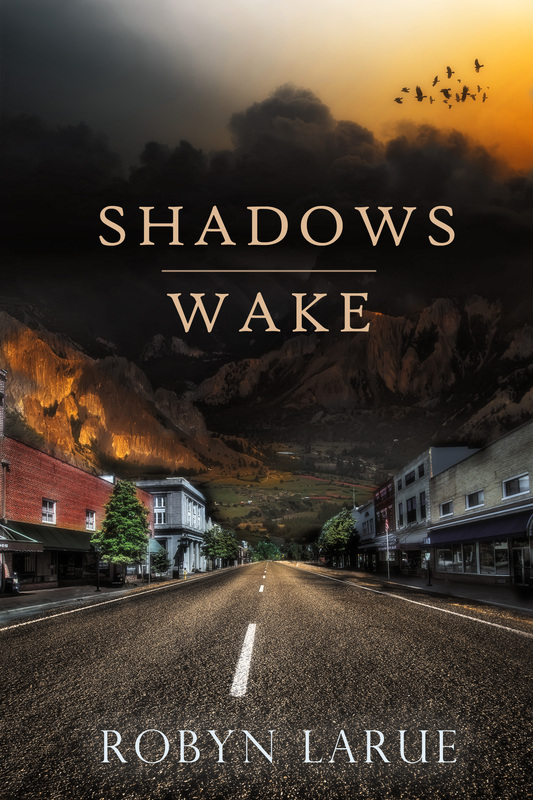 So tomorrow is the last day to enter Robyn LaRue’s giveaway for her YA novel, Shadows Wake. Do you like Native American legends? A dash of history? Coming-of-age stories with hints of the supernatural? Great characters? Then you don’t want to miss the opportunity to win a copy! To register for the giveaway click HERE. A Native American legend. A small town in the grip of a haunting secret . . .
Now that the old bear is dead, not even rumors of toxic gas can keep sixteen-year-old Lillian Pratt from exploring the abandoned mine. Lillian and three classmates find themselves drawn to the mountain and the secrets it holds. But an ancient evil is awakening. A shadow is stretching over the town, plaguing the citizens with nightmares and fear. In order to make sense of the town’s history as well as her own, Lillian must learn to trust her new friends, her first love, and confront her family’s past. Will she find the strength to overcome the darkness, or will she lose everything she’s come to love? Molly gave them her nicest table by the window. They were a youngish couple, wearing outdoor clothes and hiking boots. Their open faces and the obvious affection between them held my attention, but it was the woman who riveted me. What a deep joy for life she must have. “So what will it be today?” Molly asked when she’d brought them iced tea. The couple chatted with her and settled on their choices. Eavesdropping earned me their names, John and Margaret. As soon as Molly left their table, Jake Thompson shoved his hat back on his head and moseyed over to their table. “You folks visiting Gold Hill?” he asked. “We’re here to do some hiking,” her husband added. “It won’t be as cold as some of the places we hiked in Europe,” the man said with a laugh. “What path you planning on taking?” Jake asked. “We’re going to hike south out of the valley and eventually come down on the other side of Gold Mountain,” the man replied. The couple looked at each other in confusion. “Maybe we should cross the pass—” Margaret began. Tension wafted into the diner, filling the empty spaces, pressing on us all. “Suit yourself,” Jake said, lifting his shoulders. “Nothin’ but danger on that path, though.” He moved back to the counter and sat next to Fred. “I sure hope not,” I answered. This entry was posted in Announcements and tagged book giveaway, Michelle Mueller, Robyn LaRue, Shadows Wake, YA novel. Bookmark the permalink. Really terrific, Robyn. As you know, my husband LOVED Shadow’s Wake and I look forward to reading it. xo!